We seem to be surrounded by calamities more and more frequently these days. It’s overwhelming.. numbing. And worst of all, it’s the feeling of helplessness and lack of control. Then I came across the quote “Be like water” by Bruce Lee and it really spoke to me. Water is fluid. It flows through stones and cracks. It finds a way. It is fluid and takes the form of whatever vessel it is in. Be like water, my friend. 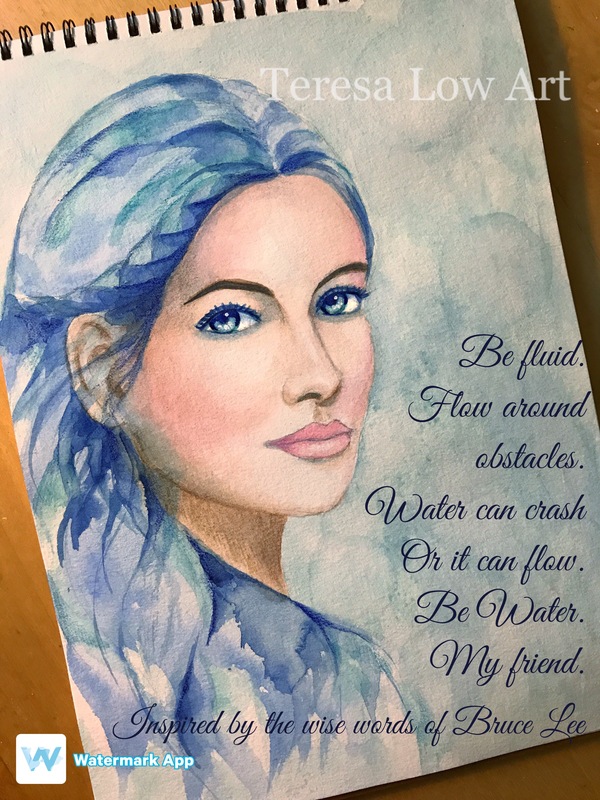 Be like water. We will get through this. Watercolor painting. Using my favorite color, blue.